In a small dish, mix together the lemon-pepper seasoning, paprika, garlic salt, rosemary and cayenne pepper. Rub over the entire roast. Place the roast with the fat side up on a roasting rack set inside a shallow roasting pan. 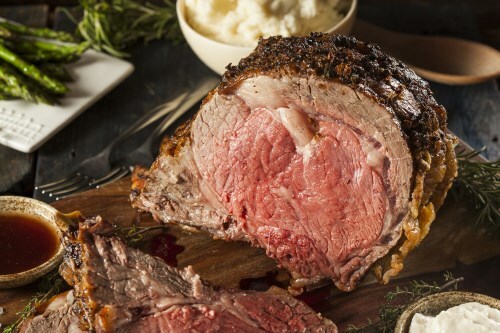 Bake for 1 hour and 40 minutes in the preheated oven, or until the roast reaches your desired degree of doneness, or at least 145 degrees F (63 degrees C) for medium-rare. Medium is recommended: 160 degrees F (70 degrees C). Let the roast rest for 10 to 15 minutes before carving into thin slices.